To ensure that children and families continue to receive a high-quality Jewish education and a reinforced sense of community, B’nai Sholom has joined B’Yachad, the collaborative Jewish religious school of Albany’s Congregation Ohav Shalom and Temple Israel. At a special congregational meeting, B’nai Sholom congregants voted overwhelmingly in favor of a proposal to join B’Yachad. B’nai Sholom has conducted its own religious school since the congregation’s founding in 1971. B’Yachad, which means “together,” was formed a few years ago when Ohav Shalom and Temple Israel combined their religious schools. The school is dedicated to teaching Torah, tefillah, Hebrew language, holidays, history, Israeli studies, ethics, morals and mitzvot to students in kindergarten through 8th grades. Through formal classroom instruction, family education and community-based programs, the school provides a rich and varied learning environment that is welcoming to all Jewish families. While B’Yachad follows the teachings of Conservative Judaism, the school utilizes the same curricular materials that B’nai Sholom as a Reform congregation has used for years. 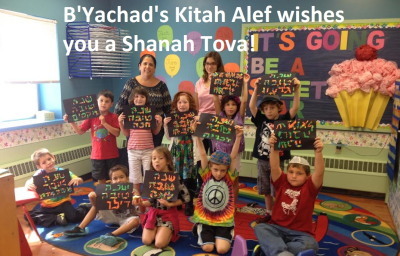 Students in grades K, 1 and 8 attend B’Yachad one day a week, while those in grades 2-7 attend two days a week. Beyond 8th grade, B’Yachad encourages young adults who have become bar or bat mitzvah to continue their education by studying at Mifgash, Albany’s Jewish community high school program, and/or by becoming madrichim (“guides”) who work in the classrooms or assist in the office. Other religious training, such as preparation for bar or bat mitzvah, remains at B’nai Sholom. “Having worked in Jewish education for more than 30 years, I feel that our B’Yachad School collaboration is one of the most exciting educational endeavors in which I have participated. B’Yachad literally brings us together as a pluralistic Jewish community for learning, Jewish identity development, the strengthening of our connections to Israel and helping families to build Jewish life. I look forward to our partnership with Temple Israel and B’nai Sholom,” said Rabbi Dan Ornstein, spiritual leader of Ohav Shalom. B’Yachad is overseen by a board that sets policy, reviews the budget and assesses the education programs. The board also advises the B’nai Sholom Religious School Committee and those of the other member congregations.